Interested in how to make our democracy work better? Wondering how to Slay the Gerrymander? Want to have fun doing it? 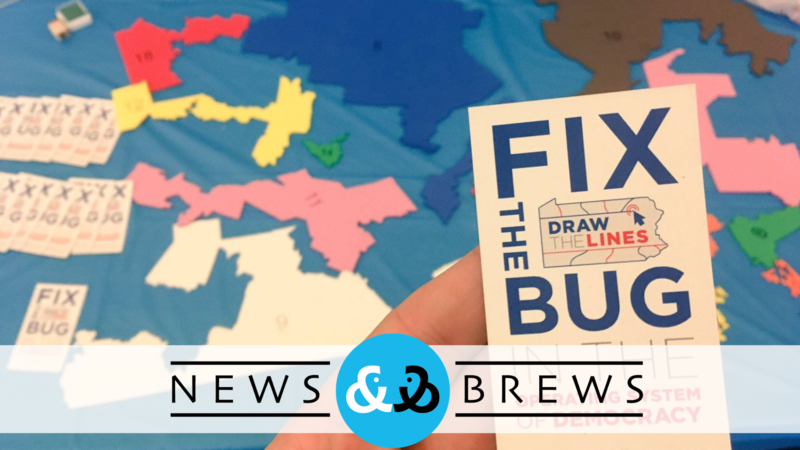 PA Post and Draw the Lines PA invite you to News & Brews Thursday, October 4th. Come to WITF Public Media Center in Harrisburg to Learn. Eat. Drink. Play. Engage. At this free event, enjoy some wildly creative bar games that get you thinking about how your district is drawn. Discuss all things gerrymandered with WITF fans and donors, as well as PA Post, WITF and Draw the Lines journalists, editors and staff.